Donald Allan "Don" Dunstan AC, QC (21 September 1926 – 6 February 1999) was a South Australian politician. He was the leader of the state's Labor Party from 1967, and was Premier of South Australia between June 1967 and April 1968, and again between June 1970 and February 1979. Dunstan was born in Fiji to a rich Australian couple. He moved to Adelaide when he was a teenager, to go to school on a scholarship. He later studied law and arts at the University of Adelaide. He entered politics in 1953, getting a seat in the South Australian parliament at the age of 26. He became well known for his campaign against the death penalty during the 1950s, and his status in the Labor Party rose quickly. As a member of the opposition, he was able to get the parliament to pass changes to Aboriginal civil rights. He was also an important figure in his party's abandoning the White Australia Policy. Dunstan was a socially progressive premier. His government recognised native title over Aboriginal lands, decriminalised (made legal) homosexuality, and abolished the death penalty. Appointed during his term were the first female judge, the first non-British governor, and later, the first indigenous governor. Dunstan also relaxed censorship and drinking laws in the state, created a ministry for the environment, and made laws against discrimination. His nine years in office during the 1970s are remembered as the Dunstan Decade. 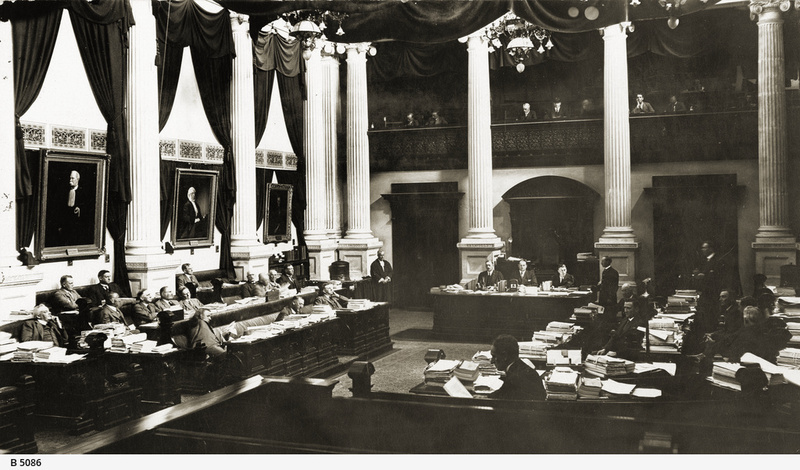 However, there were also problems: the state's economic growth began to slow down, and led to major infrastructure plans being abandoned. Unemployment in South Australia began to rise, as well as rumours of corruption. Dunstan became strained after the death of his wife, and he suddenly resigned from the premiership in 1979 after collapsing from illness. He lived for another two decades, and remained very outspoken in public about social policies. Dunstan is strongly associated with the suburb of Norwood; a memorial in his honour is embedded in the footpath outside the Norwood Town Hall (pictured). The South Australian Parliament House, situated on the cultural boulevard of North Terrace. The South Australian House of Assembly. The Assembly's composition was radically altered after changes were made to electoral legislation, abolishing the electoral malapportionment of the 'Playmander'. The Adelaide Festival Centre; a 620-seat theatre in the complex is named the "Dunstan Playhouse" in his honour. Mark Oliphant, the first Governor of South Australia to be appointed by Dunstan. 'Dunstan to dump Whitlam for SA poll', political cartoon by Stewart McCrae. 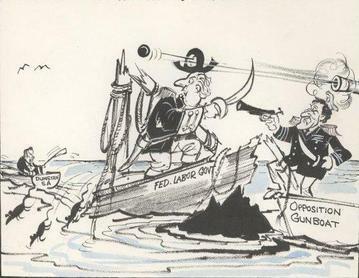 The state election win was only possible by Dunstan (pictured in the row boat) distancing his government from the Commonwealth. 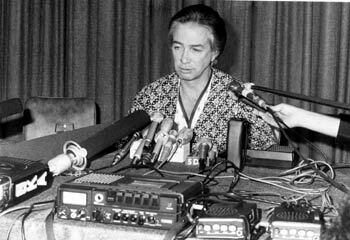 Dunstan in 1979 announcing his sudden resignation in his pyjamas after collapsing and sleeping for 40 hours. It was broadcast live on television which was unheard of at the time in South Australia. Don Dunstan Facts for Kids. Kiddle Encyclopedia.